3. After soaking potatoes, drain off water, remove potatoes and pat dry with paper towels. Return the dried potatoes to bowl, sprinkle with seasoning salt and pepper and drizzle with oil; evenly distribute the oil and seasoning by tossing with your hands. Mix well. 4. Place potatoes on a baking sheet that has been coated with nonstick cooking spray. Spray top of potatoes with a little more cooking spray. Bake until golden brown and tender; approximately 35-40 minutes, turning frequently. 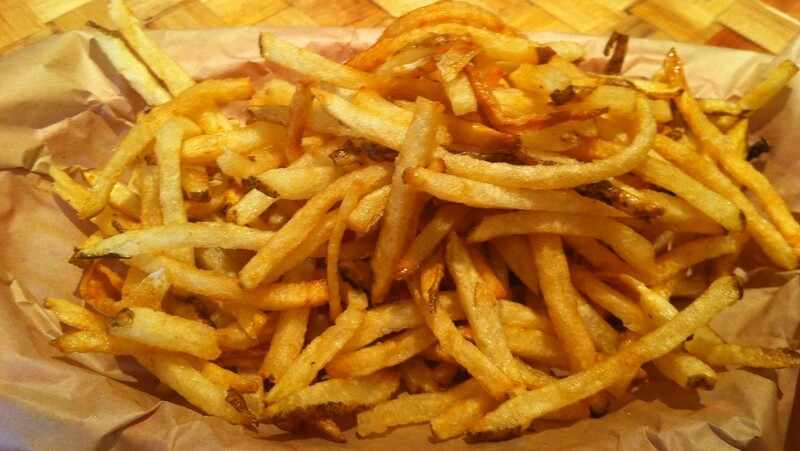 If you like crispy fries, bake an additional 8-10 minutes. 5. Sprinkle with additional seasoning and pepper, if desired, and serve.